Ever heard of the Dancing Plaque? We hadn't heard of it either. This odd type of social hysteria seemed to originate in Europe and there were several occurrences between the 14th and 17th century. The phenomenon was first witnessed in Bernburg in the 1020s when 18 peasants sang and danced wildly around a church, but the largest occurrence that put Dancing Mania in the history books happened in Aachen, Germany in 1374. Thousands of men, women and children all took to the streets and danced about wildly until they finally collapsed from exhaustion. The next large bout of the strange mania took place in Strausburg in July of 1518. A young woman stepped out into the street and began dancing. She did so for days and within a week, thirty-four other people had joined in her contortions. By August, the number had swelled to 400. People began to die until finally the madness abated on its own. Dancing Mania was rare, but it did occur and it has left many wondering what caused such strange behavior. The people of the Middle Ages attributed the mania to a curse sent down by a saint for sins that villages were committing. Some believe that people were faking illness or had planned the events, but most dancers seemed to be in agony while dancing and begged for help with fear in their eyes. Others think that poisoning by ergot might be the culprit. Ergot is a type of mold on rye bread. This theory is dispelled by the fact that people would not all react in the same way to the hallucigenic effects of ergot poisoning. The most reasonable explanation is psychological distress and mass hysteria. The Dancing Plaque is a thing of the past that certainly was odd. On this day, June 29th, in 1864, the worst railway accident in Canadian history occurred. The Richelieu River flowed between Montreal and New York City and it was used as a lane of transport for goods aboard steamships. When the railway came into the area, the Belœil Bridge was built over the river. The bridge was a swing bridge, so that it could be moved when the steamships needed to get through. Swing bridges are movable bridges that rotate on a central column, so that shipping lanes on either side are opened up. On June 29th a little after 1am, a Grand Trunk train was carrying nearly 400 German and Polish immigrants as it approached the Richelieu River. The swing bridge had been opened for passing ships and a red signal light a mile before the bridge let the train conductor know that he needed to stop. The signal went unnoticed and the Grand Trunk train ran off the railway and down onto a passing barge. The train crushed the barge and sank into the river. Remarkably, many people survived, but 99 were killed, while another 100 were seriously injured. A trial later that year found the Grand Trunk Railway Company of Canada at fault for the accident. About 1.5 miles off the shores of San Francisco, California lies a rocky island with the infamous name "Alcatraz." Some of the most notorious criminals in American history were sent to a prison built on the island that bears the same name because of the impossibility of escape. But long before the likes of Al Capone, Machine Gun Kelly and Robert "Birdman" Stroud came to the island affectionately nicknamed "The Rock," the island housed a light house and a military prison. Many desperate souls wiled away their lives on Alcatraz Island and many of those souls seemed to have stayed. Those souls include not only prisoners, but banished Native Americans. Some claim a portal exists on the island. Come with us across the cold waters of the San Francisco Bay as we explore the history and hauntings of Alcatraz. 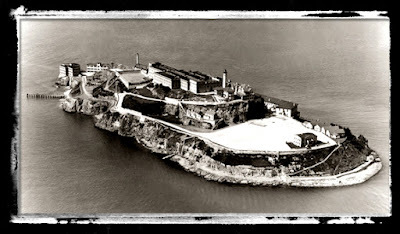 The island we have come to know as Alcatraz was first discovered by a Spaniard named Juan Manuel de Ayala in 1775. The island was covered in birds, particularly pelicans, and so Ayala named the island "La Isla de los Alcatraces." Alcatraces translates to pelican in English and was anglicized to Alcatraz later. As we all know, the Native Americans were the first to discover everything about America since they were already here and Native American tribes had not only seen Alcatraz Island, but they had used the desolate island with the sheer rocky sides as a place of banishment. The tribes believed evil spirits lurked on the island, so it was a fitting place for those that broke tribal law. The Mexican government gave Alcatraz to a man named Julian Workman and instructed him to build a lighthouse on the island. Workman did not bother with a lighthouse. He instead gave the island to his son-in-law Francis P. Temple, who also did nothing with the island. In 1847, the governor of California, John Charles Fremont, bought the island from Temple, so that the government could build the lighthouse. The lighthouse was completed in 1853, but the Fresnal lenses were not installed until 1854 and the lighthouse was lit for the first time. In 1853, the island was fortified by the Army Corp of Engineers. The island was a natural defense for the bay and Fort Alcatraz was built. It housed 200 soldiers and 11 cannons. Work on the Fort had been arduous and no one is exactly sure how the team of thirty-five workers came and went from the island on a daily basis. Construction was hampered by the rock of the island as it crumbled easily. A plan to build a ditch around the Fort was ditched as well when it was discovered it would make the island unstable. Costs rose as the fort was extended to compensate for instability. The buildings were built from sandstone at first because brick was hard to come by in the West. Blue stone, also known as granite, was considered for material as well. In the end, Alcatraz was built mainly from sandstone, concrete and brick, while the granite was used for the South Battery. In 1857, the first fatalities occurred on the island. Two workmen were buried under a massive landslide. In 1859, 77 years of military administration began at Alcatraz. During the Civil War, Alcatraz was used as an armory to keep weapons out of Confederate hands. Eighty-five cannons were also installed at the fortification. The Fort also had its first stint as a military prison for Confederate sympathizers and privateers at this time. In 1870, portions of Alcatraz were flattened in an attempt to level the island and build underground tunnels and magazines. After starting this plan at the southern tip of the island, it was abandoned as an impossibility. The entire complex was revamped and restored from 1869-1876 and it took on permanent use as a military prison. The Spanish-American War caused the prison population to burgeon. Later, some civilian prisoners were brought to Alcatraz because of the 1906 San Francisco Earthquake. The concrete main cell block that we all know today was started in 1909 and completed in 1912. In October of 1933, the military handed over Alcatraz to the Bureau of prisons and it became a civilian prison at that time. Because of the location of the jail on the rugged island, it was decided that the prison was well suited for the worst offenders. San Franciscans were not happy with the plan to house the worst of the worst off their shores. Unbelievably, at least 17 military prisoners successfully escaped Alcatraz. This would not be the case after Alcatraz became a federal penitentiary as we'll discuss later. It was not always the worst criminals that found themselves in Alcatraz. Conscientious Objectors were sent there during World War I. Generally, if a prisoner ended up at Alcatraz, it was because he had caused trouble at another prison. Staff was trained in security, but not rehabilitation. The first group of 137 prisoners arrived in 1934 to find the prison fortified in a way it had never been before. Double grating cell bar walls were installed as well as plate doors. Everything was built "tool proof." Employees of the jail lived on the island with their families. This was not the case at Alcatraz. 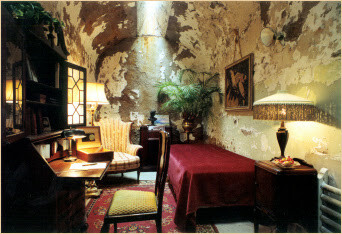 Capone was prisoner 85-AZ living in cell B-181 and there were no special privileges. Capone spent 4.5 years at Alcatraz and was even stabbed while there. He told the warden one day, "It looks like Alcatraz has got me licked." His syphilis became symptomatic in the latter part of his stay at Alcatraz. Alcatraz was tough for everyone there. A prisoner had a right to food, medical care, clothing and shelter, but that was it. Anything else was a privilege and daily life was very monotonous. Some prisoners were sent to the Strip Cell. This was an isolation cell. Prisoners were forced to strip naked before entering the cell and they were given only bread and water while in there. The cell was dark, had no sink and a hole in the floor served as a toilet. A step up were five cells dubbed "The Hole." These cells had a sink, lightbulb and a toilet, but they were isolated. There are stories that some inmates were tortured. In 1946, one escape attempt led to the Battle of Alcatraz. Bernard Paul Coy had shimmied up a gallery and pried apart the cell bars. He had covered himself in axle grease and dieted down, so that he fit through the bars. He had spent months studying the routine of the guards. He grabbed a club, surprised a guard and nearly beat him to death. Coy then lowered guns and keys down to some accomplices. Nine unarmed guards were captured and locked in cells. The escape attempt was foiled when one of the guards hid the main key that Coy needed in a toilet. Joseph Cretzer, one of the escapees, took his rage out on the jailed officers and opened fire on one of the cells. Gun fire was exchanged and another officer was hit and killed. The Marines were called in to help rescue the captured officers and restore order. The battle lasted 48 hours. Two officers and three inmates died during the fight. The prison was closed on March 21, 1963, due to salt water deterioration and the expense of running a place like Alcatraz. Native American activists took over Alcatraz in the late 60s to protest government actions against Native Americans. The protest lasted for two years. The apartments and other housing units were reduced to rubble after the protests to prevent future use by activists. In 1972, Alcatraz became part of the Golden Gate National Recreation Area. Tours are offered of the jail and island, although none of them are specifically ghost tours. There are evening ferry trips and tours though. Alcatraz is thought to be one of the more haunted prisons in America. Full bodied apparitions are seen of both inmates and guards. The smell of smoke permeates corridors every so often. The corridor where the escaped inmates holed up during the Battle of Alcatraz is the scene of hauntings witnessed by Parks employees. They claim to hear clanging and when they enter the corridor, the noise stops. It resumes when they walk away. Once when the warden was giving a tour, sobs could be heard and a cold wind blew by the group. The warden did not believe in ghosts, but he could not explain what caused the weird experience. A prisoner was locked up in The Hole in cell 14D sometime in the 40s. Guards heard him screaming and when they checked on him, he begged to be taken out of the cell. He claimed he had seen something with glowing eyes. The guards did not believe him and left him in the cell ignoring his incessant screaming through the night. Eventually, he quieted down. The next morning, the guards found him dead with an expression of terror frozen on his face. An autopsy revealed he had been strangled. No guard claimed responsibility. The next day when a head count was taken, there was an extra inmate who later disappeared. Cell 14D is often cold and people claim there is an oppressive feeling within the cell. Abie Maldowitz was a gangster who was locked up in Cell Block C. His brutal ways earned him the nickname "The Butcher." Another prisoner in Cell Block C killed him. A psychic claimed that she was hearing from someone in the jail claiming to be The Butcher. The spirit is frightening. The Butcher is not the only gangster hanging around in the afterlife. Al Capone gets around quite a bit and Alcatraz is apparently another one of his haunts. Apparently, Al liked to play his banjo in the shower room. Visitors and employees sometimes hear the strumming of a banjo when near the shower room. "According to sources, a number of guards who served between 1946 and 1963 experienced strange happenings on Alcatraz. From the grounds of the prison to the caverns beneath the buildings, there was often talk of people sobbing and moaning, inexplicable smells, cold spots and spectral apparitions. Even guests and families who lived on the island claimed to occasionally see the ghostly forms of prisoners and even phantom soldiers. Phantom gunshots were known to send seasoned guards cringing on the ground in the belief that the prisoners had escaped and had obtained weapons. There was never an explanation. A deserted laundry room would sometimes fill with the smell of smoke, even though nothing was burning. The guards would be sent running from the room, only to return later and find that the air was clear." Mark Twain visited Alcatraz and wrote that the experience left him feeling weird and described it as "being as cold as winter, even in the summer months." Nearly every guard who worked at Alcatraz had some kind of unexplained experience. The intense feelings experienced at Alcatraz have left something to linger. What that is, no one can know for sure. Do the evil spirits that the Native Americans claimed lived on the island actually exist? Have former prisoners from the military days and the civilian days decided to stay in the afterlife? Is Alcatraz haunted? That is for you to decide! Nine ski hikers were hiking and camping in the Ural Mountains in 1959 when a very weird thing happened. All nine hikers were found dead in various locations and in various states of undress. The details of the story make what happened on Dylatov Pass so many decades ago even stranger. Igor Dylatov, for whom the pass has been named, was the leader of the group. The group included many graduate students from the Urals Polytechnical Institute. When the hikers did not return when they were expected, a search party was sent out and they made the unusual discoveries. The hikers had set up a large tent to share, which would protect them against the cold and snowy weather. The back side of the tent had been cut with a large knife from the inside as if the hikers had to make a quick escape and could not leave from the front of the tent. The tent was left in a state that made it appear that the hikers had been eating dinner before fleeing. This might explain why most were not dressed in the proper clothing and had no shoes when their bodies were found. The hikers appeared to have split into groups. Two were found dead next to the remnants of a fire wearing only their underwear. Three other hikers were found closer to the tent in such a way that it is assumed they were trying to return to camp. The other four hikers were found in a ravine. The bodies appeared to be unharmed, but autopsies revealed that many of the bodies had suffered internal injuries. One corpse was missing its tongue. All of the bodies revealed radiation exposure. Many theories have abounded through the years. Was there a weather event or an avalanche that caused the group to flee? Did a wild animal or pack of wild animals scatter the group? Did a UFO and aliens visit the group? A military operation was occurring nearby and some wonder if these young people got caught up in that. A more recent and interesting theory hypothesizes that an infrasound anomaly caused a repetitive wind event leading to erratic behavior from the group. The sound waves from this anomaly could have made the hikers crazy for a moment in time. The deaths were ruled as caused by exposure and internal injuries, which some believe occurred due to falls. What really happened we'll never know and the whole incident certainly is odd. On this day, June 24th, in 1817, coffee is planted in Kona, Hawaii for the first time. Hawaii is the only state in the union that grows coffee. The first plants were installed by Don Francisco de Paula Marin who was the Spanish advisor to King Kamehameha the 1st. These first plants did not fair well. Chief Boki of Oahu decided to give it another try in 1825 and brought coffee plants in from Brazil. The plants flourished and soon coffee was planted on other islands. Coffee returned to Kona in 1828 when a missionary named Samuel Ruggles planted a coffee tree. Today, Kona coffee is considered a gourmet coffee sold throughout the world. It is very expensive in its pure form, so most Kona coffee is sold as a blend to make it cheaper. Hawaii boasts 700 coffee farms and several unique varieties are produced. 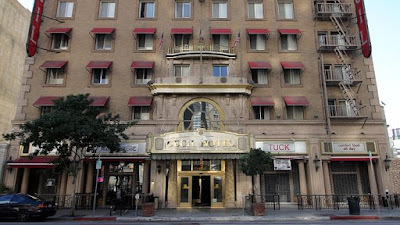 The Cecil Hotel in downtown Los Angeles is not a place where most people would want to rent a room.That might be why the Cecil Hotel was reported closed, but do not be fooled, the hotel just changed its name to Stay on Main and advertises itself as a hostel. Not only is it a budget hotel frequented by transients, but it has a creepy and murderous past that has caused it to be a source of numerous tales of haunting experiences. This infamous history includes suicides, disappearances, murders and serial killers. The hotel made news in 2013 when the funny tasting water coming out of the faucets was linked to a dead body in the water tower. A disturbing video related to this death has gone viral. You might want to turn on the lights for this episode as we explore the history and hauntings of the Cecil Hotel. The Cecil Hotel is located at 640 South Main Street in downtown Los Angeles, California. It was built in 1924 in the Art Deco style and originally had 700 rooms and was known as Hotel Cecil. It was built by hotelier William Banks Hanner. The hotel was large and cost one million to complete. Hanner put his brother Paul in charge of managing the hotel. The hotel was meant to be a place of comfort for business travelers. The lobby was beautiful with stained glass and marble tiled floors. 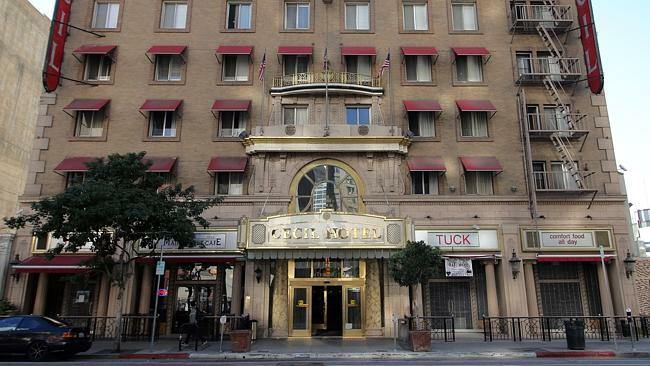 The Great Depression hit hard and before long, the Cecil Hotel became a flop house. It also did not help that the area where the Cecil was built was well on its way to becoming Skid Row. Transients became the main tenants and to this day, the hotel is advertised as a low budget option. New owners refurbished parts of the hotel in 2007. Reviews are mixed, but it seems to be your standard hostel for European travelers with some of the now 600 rooms set aside for long term living. Standard hostel, except for its bloody history that has earned it a reputation. The Cecil Hotel was home for two serial killers. The Night Stalker, Richard Ramirez, lived in a top floor room. He robbed, raped and killed in Los Angeles from June 1984 to August 1985. He used all types of weapons from knifes to guns to hammers to commit his crimes. He claimed his crimes were because of the Devil. He was an avowed Satanist. He was sentenced to death in thirteen murders, but died of lymphoma while in prison in 2013. Jack Unterweger was an Austrian who murdered three prostitutes in 1991 while staying at the Cecil Hotel. The prostitutes came to his room there. He had already killed several people in Austria by this time. The insane part of the Unterweger story is that Austria declared him rehabilitated. He was hired by a magazine and sent to Los Angeles as a crime reporter. He was intrigued by the Night Stalker and claimed that his murders were an homage to the other serial killer. Some rehabilitation! The deaths at the Cecil Hotel have been numerous. Murders occurred in the 20s and 30s even before the hotel started its decline. It is claimed that the Black Dahlia was seen hanging out at the bar at the Cecil before she disappeared in 1947. A woman named Goldie Osgood had worked as a telephone operator. She called the Cecil Hotel home. She was known for feeding the pigeons in Pershing Square, so people nicknamed her "Pigeon Goldie." On June 4, 1964, Goldie was discovered dead in her hotel room by a man delivering phone books. She had been raped, stabbed and strangled. The room was torn apart. A short time later, a twenty-nine year old male was found in Pershing Square with bloodstains on his clothes. His name was Jacques B. Ehlinger and he was arrested. He could not be tied to the murder and so the police had to let him go. No one was ever prosecuted for Goldie's death. The suicides began in the 1950s. Helen Gurnee, who had registered at the hotel as Margaret Brown, ala Molly Brown, stepped out from her seventh floor window and crashed down onto the hotel's marquee, dying instantly on October 22, 1954. Julia Moore had traveled by bus from St. Louis, Missouri and decided to stay at the Cecil Hotel. She stepped out of her eighth story window on February 11, 1962. And on October 12, 1962, Pauline Otton jumped from her ninth floor room after arguing with her estranged husband. He left for some dinner and she jumped. Unfortunately, George Giannini was taking a stroll right outside the hotel and when Pauline fell she landed on top of him, killing him instantly. In the video Elisa seems to be acting oddly, as if she is afraid of something. Almost as though she were being pursued. She moves her arms in odd ways and steps on and off the elevator. The elevator never closes its doors or moves while she is in the camera's view. After patrons complained of ill tasting water and low water pressure, a hotel worker discovered Elisa's body in the water tower.The rooftop is locked, so no one knows how she got there or if she somehow entered the water tower herself and drowned. No drugs were found in her body. 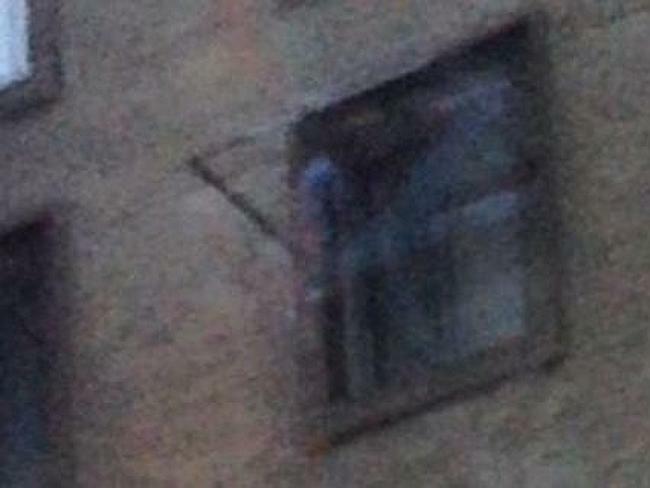 The photographer claims that he had a creepy feeling and felt compelled to take a picture of the window. He started having nightmares after taking the picture. Doors open and close on their own as do the elevator doors. Many people who stay here claim to feel an oppressive pressure. Chairs and furniture are moved. Employees report sounds, particularly of doors when no one is in the area. Guests in one room claim that they feel as though they are getting strangled. None of them stay for the entire night. Bio Channel's reality paranormal show Haunted Encounters: Face to Face visited the Hotel Cecil in 2012. A psychic for the paranormal group felt something in the hotel and saw movement against a far wall in the basement. Her hair was pulled. A guy in the group was hit several times and the batteries for his camera were thrown to the floor. "Which leads right into my dad’s haunted hotel experience. Every time he told the story, I could feel the fear come off of him in waves, even after so much time had passed. He claims he went to sleep that night in his room, only to awaken to the feeling that he was being choked. He was bathed in a cold sweat and couldn’t move or call for help. He literally thought he was going to die in that room. Finally, the feeling left him. He bolted out of the room and went downstairs to the hotel clerk on overnight duty. After he gasped for breath, he told the clerk what had happened. The clerk said that in fact someone had been murdered in that room. I believe Dad was able to get his room changed, as he made it clear he would never sleep another moment in that room." Is there a reason why so much death has happened here? Is the building cursed for some reason? Are people compelled to commit suicide or murder when they stay at the hotel? Is this just a typical Skid Row flop house? Is the Cecil Hotel haunted? That is for you to decide! During medievel times, something unusual was discovered in a pit outside of a Suffolk village. Two children were in the pit and they both were quite odd. Ralph of Coggleshall wrote of the discover, "A boy was found, with his sister, by the inhabitants of that place, near the mouth of a certain pit that is situated there. In the shape of their whole bodies they were like other people, but they differed in the colour of their skin from all the mortal inhabitants of our world; for the surface of their skin was all coloured with a green hue." Another writer by the name of John Clark noted that the children "were dressed in clothing of an unusual colour, made of unknown material." Witnesses claimed the children did not know English and that they had unusual dietary habits. They both were adopted by a local Lord, but one of the children died. The other grew up and his coloring became a ruddy red. Some researchers have suggested that the children were anemic and this perhaps is why their skin had a greenish tinge. But the people of Suffolk probably all had anemic children and so this would not have seemed peculiar. The children could have had Carotenemia from eating too many carrots, which colors the skin an orangish green. There are theories that death comes in the shade of green and perhaps the children were close to death. One indeed did die. The horseman of death in Revelations is green. The children had been in a pit and the superstitious villagers assumed this meant they came from another world. Aren't martians green? While we'll never know why these children were green, the most curious things to us is how these children survived in this pit, how long were they in this pit, how did they get to this spot since they apparently were not locals and where were their parents? That is what truly makes this story odd. On this day, June 19th, in 1778, General George Washington's Continental Army vacates Valley Forge after the British retreated. General Washington had brought 12,000 men with him to the valley seeking protection from the winter. The snow fell as they arrived and the Continental Army would endure a horrible winter. Food, clothing, weapons and every other supply was scarce. Supplying Valley Forge was not only difficult, but politics got in the way. The Continental Congress could be as inept as our modern day Congress, but some of the men were also fighting in the war, so appropriating funds and supplies took time. The British blocked supplies as well. Fevers, small pox, typhoid and dysentery killed many of the men. General Washington wrote in a letter to Governor Clinton of Pennsylvania, "As naked and as starving as they are, we cannot enough admire the incomparable patience and fidelity of the solider." The Continental Army got their second wind after leaving Valley Forge and they defeated the British at Monmouth. They marched on to Yorktown where they defeated the British one more time, ending the war. The Monte Cristo Homestead is considered to be the most haunted house in Australia. Today, we are joined again by our friend from Down Under, Freya, and we are going to share the history and hauntings of this beautiful home in New South Wales. The Monte Cristo Homestead is found in the town of Junee in New South Wales. The name Junee is derived from the Aboriginal word for frog. A group of indigineous Aboriginals named the Wiradjuri lived in the area. These people were hunter, fisher, gatherers. Leopold de Salis was one of the first Europeans to travel to the area and he set up agriculture in the area and helped establish the town, which opened its first post office in 1862. By 1866, the population of Junee was...twelve. The Main South Line Railway had a line that was built five miles outside of Junee and this lead to expansion of the town. Junee became an important stop on the line and the town was moved closer to the railway with a new post office opening. Government was formed in 1886 and a courthouse was built in 1890. 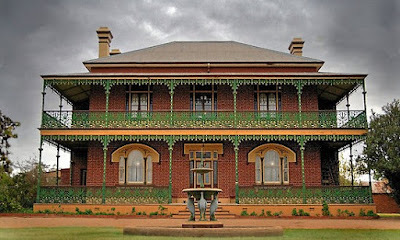 "The land on which Monte Cristo was later built was originally owned by Christopher William Crawley, who acquired a 400 acre then a 120 acre area of land around 1876 that is now known as Junee. After struggling for many years with farming, Mr Crawley built a hotel (possibly on a well placed tip off) across from the railway station on the newly built Great Southern Railway Line. The hotel was a great success as the tiny township experienced an influx of travellers from the railway, promoting its rapid growth. Mr Crawley's wealth grew tremendously, and at the height of his power he owned almost the entire area of Junee and was obviously named a town founder. He was reportedly a naturally generous and responsible man, giving a parcel of land to build the church and funding to other community projects. In 1876 he built the grand house called Monte Cristo, where he lived with his wife Elizabeth and seven children. The property was purchased by Reginald and Olive Ryan in 1963, who carefully restored the building while raising their five children there. Reg was dedicated to Monte Cristo, spooky history and all, and worked tirelessly on its restoration and development until his death in 2014. He once joked that he would be the next ghost to appear in the house, and that may be true now! The homestead is now open for house tours, dinners, overnight stays and of course ghost tours. The paranormal activity in the house is said to be extreme, with everything from ghostly figures to animal mutilation on record. The Ryans had their first spooky experience a few days after moving in. Coming back up the driveway to the house after dark, Reg and Olive found the entire house blazing with light from the inside, as though every light were turned on, even though electricity hadn't yet been connected to the house. As they neared the house, all light was suddenly extinguished. Feelings of sadness, sickness or even not being able to breathe are common in certain rooms. Apparitions of Mr Crawley are common, but Mrs Crawley seems the more demanding of the pair, making her presence known around the house but particularly in the converted chapel. Pets will not enter the house, and a few chickens and a pet parrot were strangled in their secure pens. Reg's nephew and his wife once stayed at the property and had a scare on a late night search for the loo. A woman in white (there's always one!) materialised on the landing before them and told them "Don't worry, it will be alright" before disappearing. Visiting children inexplicably throw tantrums on or near the stairs where the child thrown by her nanny was killed, and Olive once found mutilated dead cats in the kitchen. The bed in which the young woman died in labour is the only original bed on the property and is used in a guest bedroom (CREEPY IN ITSELF!) where some wake up feeling the residual pains of labour. Reg Ryan seems to have kept his promise of returning to his beloved homestead. He's sometimes seen in the old coachhouse, where he worked on restoring the Crawleys' coaches, and the family believe he is still watching over them." "As we moved along through the old coaches Mike, Eoghan and myself suddenly had the uncanny experience of feeling that something (not so good) was above our heads. We could see a large loft above with a ladder leading up to it and Mike took it upon himself to go to the ladder and start to climb up to the loft to explore what was up there. We moved aside so as to not be underneath the loft and underneath the entity above us and watched as Mike was suddenly overcome by a force pushing him upwards. He allowed himself to be pushed up the stairs and was horrified to find a large open window upstairs with no barriers. He suddenly realized that this entity was pushing him towards the open window and we all shouted for him to come down the stairs immediately!. Mike managed to return down the ladder but was amazed by the pushing force that he was subjected too. At the same time Mark Ferguson suddenly cried out and jumped into the middle of our small group, he practically climbed on top of me and you could see that he was quite terrified. He told how he was standing slightly aside from us, by himself in the dark when suddenly he had felt something lean up against his side and on his shoulder. We were all witness to the fact that nobody else was in contact with him and that his left side was clear of any coaches or other objects in the shed. Mark Ferguson found this too frightening as he had already been grabbed by the entity quite a few times since first entering the Coach House. It was apparent that this unseen entity was picking on him!. We could pick up nothing on film, EMF or anything else at this time. Since I (Rowena) wasn't bothered by the entity I was the one who then to walk behind everyone with Mark Ferguson in front of me, giving protection to Mark Ferguson from the unseen annoyance he was experiencing and was terrifying him so much." Are the spirits of servants and others still haunting the halls of Monte Cristo? Is Reg still keeping an eye on the place from the afterlife? Do things really go bump in the night and day at Monte Cristo? That is for you to decide! Moment in Oddity - Did the Island of Lomea Exist? Can islands just disappear? There has been a debate for some time over a rough sandbar near Kent. The sandbar was named the Goodwin Sands after a man who reportedly had a home built on the sandbar when it was an actual island sometime around 1053 AD. The debate arises around whether there was an island named Lomea here and even those who agree that Lomea existed, maintain that it could not have been around after 5000 BC. The Goodwin Sands caused the sinking of hundreds of ships, which has led to stories of ghost ships like the Lady Lovibond, the S.S. Montrose and the H.M.S. Shrewsbery appearing in the area. While it seems almost impossible that the treacherous Goodwin Sands could possibly have been an island at one time, historical records and Mr. Goodwin's home seem to dispute that belief. The Romans came to the Kent shores looking to conquer more areas and they wrote about a low island off of Kent in 43 BC. When it was decided that a lighthouse needed to be built near the Goodwin Sands to protect ships, drilling was done and it was found that below the sandbar of the Goodwin Sands was blue clay. There was a chalk base beneath that as well, which indicated to geologists that something more substantial had been here. It has always been conventional belief that a chalk sand bridge once connected Great Britain and France, but scientists say that this land bridge was washed away by the ocean before 5000 BC. So scientists claim that there was never an island named Lomea here. Did Lomea actually exist? Are there such things as vanishing islands? Are vanishing islands just figments of the imagination? We'll leave the debate up to the geologists and other scientists, but the whole idea of vanishing islands certainly is odd. On this day, June 14th, in 1777, the Grand Union Flag is replaced with America's beloved Stars and Stripes. The Grand Union Flag was the first flag designed and used by the colonists. The flag had several names, ranging from the Congress Colors to the Cambridge Flag to the First Navy Ensign. The flag had the infamous thirteen stripes - representing the thirteen colonies - that would carry over into the new Stars and Stripes design and those thirteen stripes are still present on our modern day flags. In the left upper corner field, the Grand Union had the Union Jack that is the flag of Great Britain. This signified that the colonies were British owned. When America pushed for her independence, it only made sense to remove the Union Jack part of the flag. It was replaced with a blue field and a circle of thirteen white stars, which represented the thirteen colonies. As the years went by and new states entered the union, a new star was placed in the blue field until we had the fifty stars that are on our flags today. The Stars and Stripes made it's first appearance at the beginning of the Revolutionary War on the ships of the Colonial Fleet on the Delaware River. The Stars and Stripes was considered the unofficial flag of America until the Continental Congress made it official on June 14, 1777. We love covering urban legends and we have another one for this episode. Urban legends can be as recent as the Charlie, Charlie Game that went viral on the internet a couple of weeks ago or they can reach back into the past. The legend surrounding the Devil's Footprints dates back to 1855. The Devil's Footprints is an unexplained mystery that is one of the strangest stories we have ever heard. The only theory that has really survived the test of time is that the Devil paid a visit to Devon, England and made his way bouncing around roofs and yards and such. After hearing the details, perhaps you will come up with your own theory. Was it the Devil? Did aliens pay a visit? Could these be the tracks of a ghost? The county of Devon in England is known for shores that are both sandy and cliffs, a mild climate, agriculture and tourism. As is the case with all places, there are some dark spots in Devon's history. The Prayer Book Rebellion occurred in 1549. This was yet another European religious war that erupted after the Book of Common Prayer that featured the theology of the English Reformation was published. The book was seen as an attack on the Catholic Church and an angry uprising ensued. German and Italian mercenaries were sent to calm the revolt. Several battles were fought and in one incident named the Clyst Heath Massacre, 900 men were bound, gagged and had their throat slit in the space of ten minutes. The Rebellion resulted in the death of 5,500 people. Another dark spot in Devon's history occurred on February 9th, 1855. The people of Devon went to bed on February 8th and awoke to a surprising phenomenon. A heavy snow had fallen while they slept across the entire county. In the snow where hundreds of hoof like tracks that seemed to belong to only one two legged upright creature. The footprints were in single file trails that stretched up to 100 miles. They extended from Exmouth to Topsham. The trail crossed the river Exe to Dawlish and Teignmouth. Some reports had the footprints going as far south as Totnes and Torquay. Even stranger than the distance covered is what the cloven prints seemed to walk across or through. The prints not only appeared on the ground, but they went up walls as if the creature was Spider-Man. The prints crossed roofs without the assistance of ladders. They went up and down fences. Some of the footprint trails stopped abruptly as if the creature making the prints just disappeared. There were prints that stopped at walls and rather than climb the walls, the prints started up again on the other side of the wall as if the creature just passed through the wall. There were cloven prints on either side of the Exe River as if the creature walked across the water. Some witnesses claimed they saw a short devil like figure. "PANIC CAUSED BV THE APPEARANCE OF THE DEVIL IN DEVONSHIRE.---Considerable sensa- tion has been caused in tho towns of Topsham, Lympstone, Exmouth, Teignmouth and Dawlish, in tho South of Devon, in consequence of the discovery of a vast number of foot-tracks of a most strange and mysterious description. The superstitious go so far as to believe that they are the marks of Satan himself; and that great ex- citement has been produced among all classes may be judged of from the fact that the subject has been descanted on from tho pulpit. It appears that, on Thursday night last, there was a very heavy fall of snow in the neighbourhood of Exeter and the South of Devon. On the fol- lowing morning the inhabitants of the above towns were surprised at discovering the foot- marks of some strange and mysterious animal, endowed with the power of ubiquity, as the foot- prints wore to bo seen in all kinds of unaccount- able places - on the tops of houses and narrow walls, in gardens and court-yards, enclosed by high walls and palings, as well as in open fields. There was hardly a garden in Lympstone where these footprints were not observable. The track appeared more like that of a biped than a quadruped, and the stops were generally eight inches in advance of each other. Tho impres- sion of tho foot closely resembled that of a don- key's shoe, and measured from an inch and a half to (in some instances) two and a half inches across. Here nnd there it appeared as if cloven, but in the generality of the steps tho shoo was continuous, and, from the snow in the centre re- maining entire, merely showing the outer crest of the foot, it must have been concave. The creature seems to have approached tho doors of several houses, and then to have retreated, but no ono has been able to discover the standing or resting point of this mysterious visitor. On Sunday last the Rev. Mr. Musgrave alluded to thc subject in his sermon, and suggested the pos- sibility of the footprints being those of a kanga- roo; but this could scarcely have been the case, as they were found on both sides of the estuary of tho Exe. At present it remains a mystery, nnd mnny superstitious pcople in the above towns are actually afraid to go outside their doors after night." Obviously, these people were terrified and with good reason. Had the Devil really come to visit or was this some kind of hoax? After all, we have found out in recent times that crop circles in many cases were hoaxes. But circles have been unexplained and it would seem these footprints are the same thing. It would be really hard for a human to have made these footprints and the ones that climb walls and fences would be impossible. So a hoax seems to be ruled out and really, why would someone bother with such an elaborate hoax? Other theories were suggested. It was suggested that donkeys could have made the marks and that could be the case with those found on the ground, but on the roofs? An experimental balloon had broken free from the Devonport Dockyard and some people thought that a couple of shackles dragged below the balloon could have caused the prints. But how did the balloon keep from getting tangled up in something and why was no balloon ever found in the area? Hopping Wood Mice have been blamed for the marks. When they hop from spot to spot, their movements and their tail cause a hoof mark like print. Could it all come down to hysteria or false reporting? Perhaps people saw strange prints and imagined something really incredible happened, although to have mass hysteria cross into some devil like being crossing roofs and walking up walls seems a bit much. "Among the high mountains of that elevated district where Glenorchy, Glenlyon and Glenochay are contiguous, there have been met with several times, during this and also the former winter, upon the snow, the tracks of an animal seemingly unknown at present in Scotland. The print of the foot in every respect is an exact resemblance of that of a foal of considerable size, with this small difference perhaps, that the sole seems a little longer or not so round; but, as no one has had the good fortune as yet to have obtained a glimpse of this creature, nothing more can be said of its shape or dimensions; only it has been remarked, from the depth to which the feet sunk in the snow, that it must be a beast of considerable size; it has been observed also, that its walk is not like that of the generality of quadrupeds, but that it is more like the bounding or limping of a hare when not scared or pursued. It is not in one locality only that its tracks have been met with, but through a range of at least twelve miles..."
And even before that, all the way back to 1205, writer Ralph of Coggeshall who documented weird arial phenomenon reported that strange hoof prints appeared after an intense electrical storm. The Kui is a mythical monster that is found in Chinese mythology. 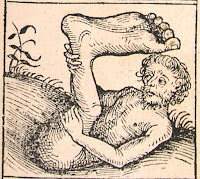 The monster is thought to be a demon that has only one leg with a cloven hoof that looks similar to that of a cow for a foot. Depending on the source, the Kui is portrayed as either a monkey with a human face, a dragon or a drum. Fierce electrical storms heralded its presence. 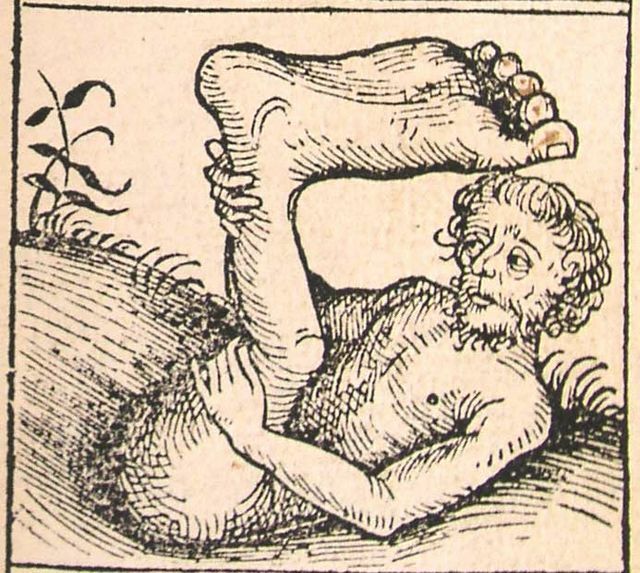 There were also mythical human beings that were one legged with a foot big enough to give them shade if they laid on their backs and raised their foot above their body. These creatures were called Sciapods. There were claims that Sciapods actually existed in India. The Chronicles of Narnia even features a Sciapod. Devon experienced the phenomenon again in 2009. The footprints were the same shape and followed a similiar bizarre path with nothing to account for how the prints were made. So does the legend of the Devil's Footprints continue on today? Does some weird creature need to be added to the list of cryptological marvels? Is there a simple explanation for this phenomenon? Or has something supernatural taken place whenever these marks are found? That is for you to decide! The Sunday Capital printed a story in 1885 detailing some letters written by a dead man after he had died as follows: “A very remarkable case has come to my attention through a friend in the pension office which furnishes incidents for a novel as powerful as any Dumas or Eugene Sue ever used. In 1864 a lieutenant from an Ohio village was killed in one of the battles in Virginia and his body was sent home, buried with military honors and a handsome monument erected over it by the citizens of the place. Thousands of people paid their tributes of honor to the young hero and looked upon his face as the body lay in the town hall. He left a widow to whom he had been married only a year, and for more than twenty years she has been trying to get a pension; but, although she keeps fresh flowers upon her husband’s grave, she cannot prove that he is dead. The records in the adjutant general’s office are perfect, and affidavits can be furnished from thousands of people who saw and recognized his lifeless body, but every few months she receives a letter from him written in a hand as familiar as her own. Two letters never come from the same place; now they are postmarked in Colorado, then in Texas, then in New York. Once she got a note from him dated at Washington. He appears to know what is going on at home, and always alludes to local occurrences with a familiarity that is amazing. He sends messages to old friends and gives her advice about business matters which it seems impossible for a stranger to know. She cannot answer these ghostly missives, because he never gives any clew to his whereabouts, and no detective has ever been able to find him. Her friends believe that the writer is some crank or malicious person who takes this way to annoy her, and the distress the poor woman suffers cannot be measured by any other human experience. Long ago she ceased to open envelopes which came with the familiar address, but sends them sealed to her attorney, who uses every possible means to secure a clew to the identity of the writer. The only circumstances to suggest that it may possibly be her husband are the penmanship and the familiarity the writer shows with the lady’s private life, but how he could keep himself posted is another mystery, which cannot be solved. Several times the writer has intimated that he might soon pay her a visit, but the next letter always contains an apology for not having done so. The woman has suffered agony of mind beyond description, and her life has been ruined by this horrible mystery, but of late she has become more resigned, and would neither be surprised or disappointed if her husband should someday walk into her door.” Whether her husband was writing her from the grave or someone was playing around, the whole experience certainly was odd. On this day, June 9th, in 68 AD, Emperor Nero ends his tyrannical reign at his own hand. The Emperor Claudius was grand uncle to Nero and he adopted the young man so that he could become his heir. Claudius had shared rule with Caligula, who had been one of the most evil leaders of all time. He had been murdered by members of the government to put a stop to his brutal ways in 41 AD. When Claudius was murdered by his wife in 54 AD, Nero became Emperor and ruled from 54-68 AD. Nero's reign was challenged by his mother at a later date and she pushed for Nero's step-brother to become Emperor because he was the true blood heir. Nero poisoned the boy. Nero ordered the murder of his mother in 59 AD. Nero would also have his wife Octavia executed after their divorce, which he initiated because he had impregnated another woman whom he later married. That woman was kicked to death by Nero when she was pregnant with their second child. Nero drove the empire into debt with his lavish building, but many of the people loved him. In 64 AD, Rome burned and it is believed that Nero had the fire started. The saying that Nero fiddled while Rome burned developed during this time. Restoration challenged the treasury even more. Nero blamed Christians for the fire and had them executed. Nero began to take power away from the Senate despite promising them that he was pushing for a Republican government. In 65 AD, the Senate realized they had no power and they began plotting the Pisonian Conspiracy. This conspiracy consisted of a plan by Gaius Calpurnius Piso to have Nero assassinated with the support of the Senate and then become Emperor. It failed and those involved were executed or forced to commit suicide. The Senate called for Nero to appear before them and were preparing a way to have Nero's life preserved after a rebellion arose among governors. Nero had been abandoned before this by everyone including his guard, so he thought that the Senate was going to torture him to death. He decided to commit suicide, but he chickened out and begged his private secretary to help kill him, which he did. 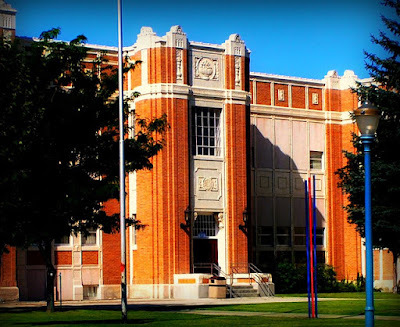 Pocatello High School in Idaho is a beautiful historic school that has made the top ten on a very unique list. Pocatello is one of the top ten scariest high schools in America! 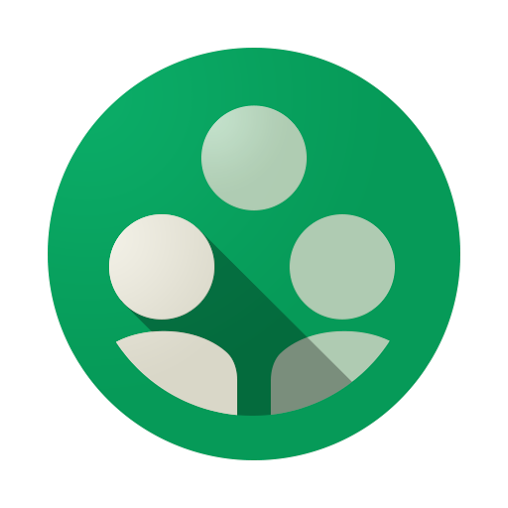 There is more to this revelation than just whispered rumors among students in the hallways. Closed circuit TV has picked up strange anomalies. One would think a school in Idaho would not be a place where multiple deaths have occurred, but Pocatello is different. One of the deaths was even part of a twisted suicide pact. Come with us back to school as we explore the halls and classrooms of Pocatello High School. The city of Pocatello is known as the Gateway to the Northwest. The Shoshone and Bannock tribes had lived in the area for hundreds of years. The leader of the Shoshone was Chief Pocatello and that is how the city derived its name. Fur traders were the first white men to come through the area. Nathaniel Wyeth was a Massachusetts businessman who headed west leading two expeditions to the Pacific Northwest. He saw great promise in the areas of agriculture, fishing, fur trading and lumber for the area. The second expedition led to Wyeth establishing Fort Hall in the area in 1834. He promoted the Oregon Trail heavily and helped Methodists missionaries on their way to Oregon. He would finally head back to Massachusetts for good in 1836 after giving up on his expedition due to unforeseen circumstances. He was not as prepared as he needed to be and fur trading was dying because silk had become the preferred hat material. Fort Hall still held onto its prominence after the fur traders moved out because so many settlers were heading for the northwest. The discovery of gold in 1860 convinced people to stop travelling through the area and to stay and settle. The Portneuf Valley, of which Pocatello is a part, became a hot spot where stage and rail lines came through. Union Pacific Railroad founded Pocatello Junction. By 1882, the place was an agricultural center that grew grain and, of course, potatoes. In 1889, the town of Pocatello was founded. Many of the historic buildings from Pocatello's earliest days still exist today. One of those buildings is Pocatello High School. The school was built in 1892 and named West Side School. The building featured a belfry, gables and arched windows. All grades attended classes in the school. The school was a matter of pride for the city and because of this, two presidents spoke at the school. Those presidents were Theodore Roosevelt in 1902 and William Howard Taft in 1908. The school thrived until 1914, when a fire broke out. A boiler had apparently started the fire. Students and teachers rushed to save what they could and the fire department arrived on horse drawn carriages. It was no use. The school was completely destroyed, burned to the ground. The town decided to rebuild the school in the former's footprint. Students met on the lawn and in churches while they waited for the new school to be built. 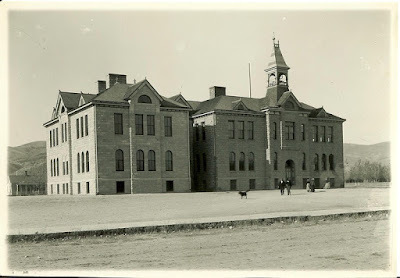 That new school was finished in 1917. The school was expanded in 1939 and a gymnasium was added. Major renovations were done in 1996 and a new gymnasium was completed in 2006. The school would seem to be a typical high school, until one hears about the supernatural occurrences that have been experienced within the school. A peculiarity of this high school is that a real skeleton was used in science classes. Obviously, the school decided this was not a good idea and they switched to using a plastic skeleton. Apparently, the spirit behind the skeleton was not happy about this switch. Science teachers started finding bones from the real skeleton tucked inside cabinets and in other places within the science department. It was in the 40s or 50s when two girls at the school decided that life for them was over. They made a pact with each other that they would commit suicide. Only one of the girls went through with the plan because the other chickened out. The girl who followed through with the horrible plan, hung herself from her locker. She wore a distinctive perfume that is smelled in the hallways to this day. The most intense scent came from her original locker. It got so bad that her locker was finally removed. Custodial staff sees a young girl's apparition in the hallways at night. On several occassions, the tinkling of piano keys has been heard coming from the music room at night. When someone goes to investigate, there is never anybody found playing the piano. Toilets flush on their own when no one is in the restrooms. The same thing happens with the lights. They are repeatedly turned on and off and it gets so intense that police are called. The closed circuit video that caught our attention features this light phenomenon. The video is considered to be the real deal because surveillance tape cannot be altered. The video also features what appears to be an apparition and although some claim it could be something hanging from the front of the camera like a thread, the movement seems a bit too much like a human walking to convince us it is just a string. There are other stories that we are not sure are true. One story claims a librarian hung herself from a chandelier in the library. Another story claims a boy drowned in the pool. The theater is very haunted according to some staff and students. A girl or a large shadow is seen sometimes in the rafters and the story behind this haunting is that a jealous understudy strangled the girl in the locker room below the theater and took her place in the play. Whispers are heard throughout the school and no one is found in the areas from which the whispering originates. Is there more spirit at Pocatello High School then just school spirit? Have the deaths of so many led to strange occurrences at the school? Do some students refuse to leave the school in the afterlife? Is Pocatello High School haunted? That is for you to decide! Could a dressing table be haunted? E. Louisa S. Nosworthy is a woman who lived in Birkenhead and wrote about a purchase she had made in the 1874 edition of the Spiritual Magazine. She had bought a dressing table ten years earlier at auction. The piece was beautiful and she placed it in her guest room. She found out later that the dressing table had belonged to a man who had committed suicide and that is why his belongings were being sold off. Complaints from guests who stayed in the room started almost immediately. They would report that raps and taps from the dressing table awakened them at night and one young lady refused to stay in the room. Louisa's husband stayed in the room and claimed that he heard the noises coming from the piece of furniture as well. He even reported that a figure had stretched out next to him on the bed, frightening him terribly. Louisa joined the Spiritist Movement of the time and conducted a few seances in the home. One night, she found herself having to stay in the guest room. She was overtaken with violent shaking of her body while she lay in bed. The air became thick and suffocating. She ran from the room and had no trouble the rest of the evening. The family became convinced the furniture was possessed by a dark spirit because their trouble had only started when it was brought into the home and activity only occurred in that room. Louisa wanted to burn it, but her husband was against destroying a good piece of furniture and he wanted to sell the table. They finally agreed to chop it up and instructed their cook to use the wood for firewood. Wouldn't you know, activity began in the kitchen. A dress hung by the fire was cut in slits and a vase was broken without anyone touching it. The wood from the table was eventually completely burned. Louisa gave her real name and claimed the story was true in the article. Whether it was a fanciful imagination or an actual haunted possession we'll never know, but the story certainly is odd! On this day, June 4th, in 1769, an astronomical rarity occurred. A transit of Venus was followed by a total eclipse of the sun. The amount of time between each event was only five hours, the shortest interval in history. When the planet Venus passes in front of the sun, it is called a transit of Venus. For us here on Earth, it appears to be a black dot traveling across the sun whereas a total eclipse of the sun blocks out most of the sun completely because the moon is closer to us. The transit lasts a matter of hours and is not as common as total solar eclipses. As a matter of fact, a transit of Venus only occurs every 243 years. For those of you listening over the age of three, you have had a transit in your lifetime. The last transit occurred June 5th and 6th in 2012. If you missed it, you missed your only chance to witness such an event. The next transit of Venus is predicted to occur in December 2117. Before our modern time and modern equipment, the transit of Venus helped scientists figure out the size of our solar system. Modern scientists hope to use the information gathered from the 2012 transit to find exoplanets. The village of Waardenburg is located in the Gelderland Province of the Netherlands. Gelderland dates back to the Holy Roman Empire and is named for a German town. The province suffered heavy damage during World War II that can still be seen to this day. 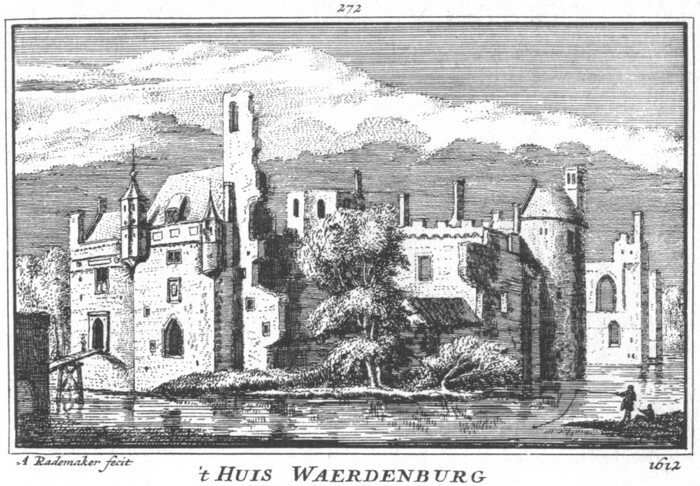 The village of Waardenburg is named after a knight who established the village and built a wooden castle where Waardenburg Castle stands today. His name was Rudolf de Cocq van Waardenburg. He was given the land in 1265 by Count Otto II of Guelders. Rudolf then built a wooden castle there in 1265 and he named that castle Hiern Castle. That building was replaced in 1280 with the castle that stands today. Well, at least part of it still stands today. It was designed in a unique polygonal shape. The walls are made from red brick and there are several turrets of varying size. Today, the castle resembles a horseshoe shape. 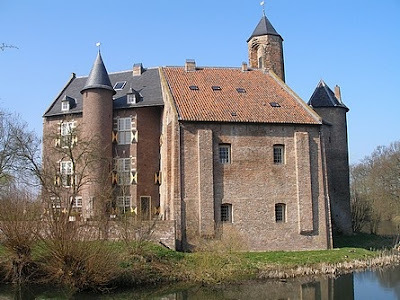 The castle stayed in Rudolf's family until 1401 and the name was changed to Weerdenbergh Castle at that time. Weerdenbergh translates to "washland hill." In 1568, the Netherlands began a revolution to gain independence from Spain. The war lasted until 1648 and came to be known as the Eighty Years War. It was during this war that the castle experienced its first damage. The castle was taken and pillaged. Much of the castle was destroyed in the process. The Spanish left only the heavy walls and the outer shells of the towers standing. The castle lay in ruins until 1627. A man named Johan Vijgh bought the property and began reconstruction, but this reconstruction also led to the demolishing of the south wing and entrance gate. Johan's efforts came to a stand still when his money ran dry. The castle proved to be too immense for him to maintain. 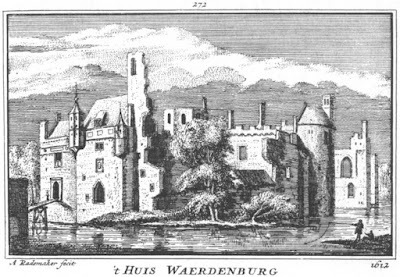 The legend of Faust has a connection to Waardenburg Castle according to the Gelderland Folk Almanac of 1842. 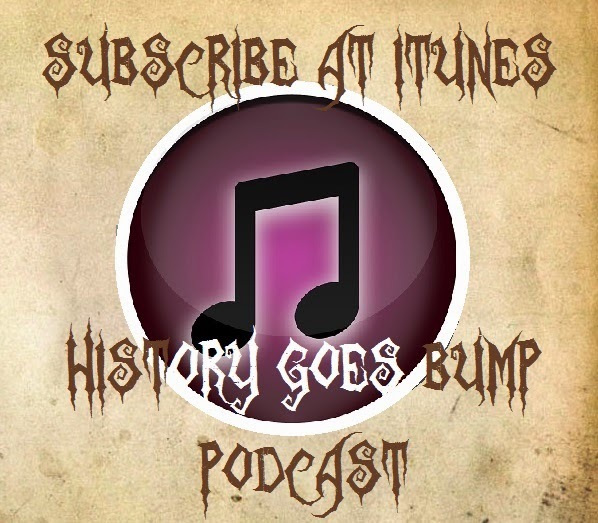 As our listeners know, we take legends with a grain of salt and the stories that surround the life of Dr. Johann Georg Faust have taken on a life of their own. Faust was a man who really did live from 1480-1541. He was an alchemist and a practitioner of black magic who claimed to have sold his soul to the Devil to gain his powers of alchemy. He also was a pedophilic conman, so whether he was telling the truth is unknown. Martin Luther apparently knew of Faust and did claim that Faust had some kind of pact with the Devil. Faust could conjure wine from a table and when he was teaching at a university, legend claims he conjured the heroes from Homer's epics when he taught about them. He came to a horrible end when the Devil came to collect his soul. Legend states that Faust was torn apart by the Devil and that he left the remains on a dung heap and Faust's eyeballs stuck to the wall. In reality, it is believed that Faust blew himself up while experimenting with alchemy. The Gelderland Folk Almanac claims that Faust stayed in a second floor room of Waardenburg Castle and that it was from here that he was taken by the Devil and destroyed and that blood stains near the window and on the pavement still exist today and cannot be removed due to this incident. As to the truth of these statements, we cannot be certain. Most historical accounts claim that Faust died near Wittenberg, which is some 315 miles from Waardenburg. Others claim he died in a hotel in a town in the German district of Baden-Wurttemberg called Staufen im Breisgau. What really happened? We'll never know, but the legend was made famous in Johann Wolfgang von Goethe's play "Faust." Faust may just be legend when it comes to the castle, but reports of hauntings are not. Disembodied steps are heard regularly climbing up and down the stairways. Apparitions have been seen climbing the stairs. Objects disappear and then reappear. Whispering is heard in rooms where there are no occupants. Toilets flush on their own. It should be noted that the remains of bodies were found in the castle's cellar at one time. There is no historical record as to why this is the case. There are no deaths recorded at the castle either. Are there truly spirits hanging around the stairway of the castle? Is the castle cold and drafty because it is old or because it harbors those who refuse to cross over? Is Waardenburg Castle haunted? That is for you to decide! "Me and my family lived in a small house in a village near Amsterdam in the Netherlands. My parents bought it somewhere around 1979. At that time I was 2 years of age. The house was build somewhere around 1910 and as long as I can remember there was always something strange going on. As a young child I could frequently see strange shadowy figures upstairs and from time to time I heard someone, or something, breathing or scratching from inside the walls. I remember that at night I could regularly see these strange figures, whom looked like long black shapes, moving in a odd rhythmic way through my bedroom. And one scary thing I remember like it happened only yesterday. I was about 4 or 5 years of age and I began to notice them more often. Or let's say, I became aware of the fact that what I saw wasn't something normal and it really started to scare me. Every night it looked like they were moving closer to the edge of my bed and at a certain point they came so close that I hid myself under the sheets, so I could not see them. Of course that didn't help much, because now I started to hear them. They made a strange mumbling sound and as a child (or now as an adult) I could not make out what it was. But it scared me so much and after a few night I was so scared that kicked with my foot at the edge of my bed. To my horror I really hit something and it made a loud and eerie kind of scream. A few seconds later my mother entered my room, asking me why I made such an awful scream. I told her what happened, but it was of no use. I could not convince her that it wasn't me, but one of the "monsters" near my bed. She tried to calm me and told me that there were no such things as ghosts or monsters. She told me that I was safe in my room and asked me to go back to sleep. It may sound strange, but from that moment on I never heard the noises again and I never saw those things again... Until 1989. In that year my mother suddenly died and left me, my father and two younger brothers to take care of ourselves. From that moment on the atmosphere changed in the house. I started to see the shadowy figures again and the scratching noises and the breathing came back. I could hear it all through the night. One day I noticed that our cats started to behave strange. They became very jumpy and nervous and refused to go into certain places in the house (one of these places being my room). It was like they could see things that we (well, most of us) apparently couldn't. What also spooked me was that some places in the house were freezing cold (for no reason). My father and my two brothers also seemed to be affected by whatever it was. My father kept telling us stories about ghostly appearances and a "woman figure" he had seen in our living room. My two brothers became very aggressive and violent and used course language all day through. It was like something dark (re) took possession of the house. At night things really got creepy. Something was constantly pulling my sheets away and made frightening noises from inside the walls. Downstairs I frequently heard people walking or moving things around. Our cupboards and closets were opened and shut all night through... And every time it happened I went downstairs to see who's there and every time there was nothing, but a couple of "scared" cats hiding under our couch. One day one of my brothers asked if I had heard the strange noises the night before. Of course I heard the noises, but I was curious about his story and asked him what he was talking about. He described all the things I heard every night. He thought that we had a burglar in the house and so he stormed downstairs to teach him or her a lesson. But there nothing there and angry and frustrated he went back to bed. In 1999 my youngest brother started to behave in such a bad manner that the authorities decided (with the consent of me and my father) to put him in a foster home. From that moment on he immediately changed and became a friendly and caring young boy. I think that whatever haunted our house had lost grip on him and therefore he changed. But I, my other brother and my father could not move elsewhere and had to deal with the house. In 2001 a friend of mine told me that whenever he came to visit our house he felt like something in our house was watching him. It made him feel uncomfortable. He also said that from the corners of his eyes it was like there were always strange black manlike shapes visible in, but also close around, our house. I had never mentioned this to anyone, not even to my father and brothers. I was shocked, but didn't have the courage to tell him what was going on. But we talked about it for a while and made some silly jokes about it. That was a big mistake and that night I would learn the hard way. I do not recall the time, but suddenly my sheets were violently pulled off my bed. My room became freezing cold and the scratching noises came from all the walls. It was almost like something was rapidly moving through all the walls. And then I heard very loud breathing and something what felt like enormous hands grabbed me by the neck and threw me into one of the corners of my room. Apparently I lost my consciousness. When I came to my neck really hurt and it still was very cold in my room. I decided not stay there one more second and rushed downstairs. That night I slept on one of our couches, with the company of our cats. That gave me a safe feeling. Next morning father and brother had no clue what had happened that night. I asked them if they had heard something, but they both said no. They did ask if there was something wrong with my neck and I replied that I fell out of my bed and hurt my head and neck. I went to the bathroom and noticed a large bruise in my neck. That same day my friend came to visit me again. He immediately noticed that I behaved strange and asked what was going on. I referred to our ghost stories the day before and told him that I have had the weirdest dream. That something attacked me and that I woke up in a corner of my room. Worried he asked what was wrong with my neck. Before I was able to respond he pulled my shirt up and he froze. I asked him what was there. "Do you want to know what's on your neck? ", he asked. "You know that you have a bruise in the shape of a very large hand in your neck and on your shoulders." Now I really was afraid and that day I told him everything that was going. He immediately believed the entire story. My brother overheard my story and when it came to an end he told me that he was so glad that he was not going crazy. Unfortunately later that year my father's health rapidly worsened and he started to show severe signs of dementia. But now several people had noticed it and since we did not know what it was, we all decided to try to ignore it and most certainly to not to offend it anymore. That seemed to help a little. Things calmed down a bit. But we could still hear the noises and every night things still were moving around. The cold spots in the house remained and for several months I refused to spent the night in my room. But at a certain point I decided that this was ridiculous and I started to sleep there again. I don't know why, but it never bothered me again and I was never attacked again. Somewhere around 2002 my father's condition worsened and he could not live in the house any longer, so we all moved out. I moved to a small apartment near my old house and my brothers moved somewhere else. The house was sold to our next door neighbor. He always wanted to buy the house, so he could make one big house of both houses. I moved in my apartment and for a while I feared that something had followed me to my new apartment. Again I felt like I was being watched and again I saw something but this was different. It did not feel bad. The cats (I kept them after moving out the old house) were not spooked and one day I saw something that was as clear as day. It was an old lady, a friendly looking old granny. I was not afraid of her and spoke into the room right at the exact spot where I had seen her. I said that I did not mean to intrude, but that it was now my house. That I lived there now, but if she wanted, she was welcome to stay. Immediately something changed in my apartment. Everything suddenly felt so serene and peaceful and I have never seen her again. Later I heard from my new next door neighbor that an old brother and sister had lived in my apartment. The sister took care of her brother, but then the sister died and the brother couldn't stay there so he was moved to a nursing home. That was shortly before I moved in. The woman my neighbor described was the woman I had seen. At the same time my old neighbor had his own problems with the old house. Because he did not have the funds to immediately cost the renovation, he decided to rent the place out. Not a single one of his tenants stayed there for very long, but the most striking case was a young woman who rented the house. She told my old neighbor that she simply loved the place and even paid him two months in advance. A few days later my old neighbor came home from his work and noticed a large truck in front of the house and several movers taking her stuff out. He wanted to know what was going on and one of the movers told him that the woman did not want to spent another minute in that house. She did not even want to get near to it and gave them the key. My old neighbor could keep his rent. The man could not tell my neighbor what had happened to her, but something scared the living daylights out her. Up to this day I still do not know what it was. Some of my friends say that it most likely was a poltergeist, another friend said that maybe it was a demon and one girlfriend even mentioned that maybe it was the spirit of my deceased mother, although I refuse to believe that. Things were already off before she died and I don't believe that she would ever turn to violence."